Several senior US lawmakers greeted Sikhs on the occasion of Vaisakhi and lauded the community's contributions in the economic development of America. 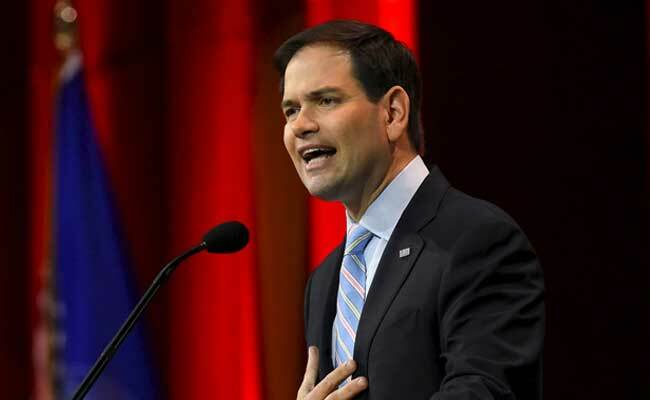 "On this joyous spiritual day for members of the Sikh community, I wish American Sikhs a very happy Vaisakhi," said Senator Marco Rubio. "Sikhs have been an integral part of America''s fabric for 125+ years. Sikhs wear turbans as a pledge to uphold equality and justice," said Congressman Adriano Espaillat. "We join our Sikh American neighbors in celebrating Vaisakhi, one of the most historically significant days for Sikhs all over the world!" he said. "On Vaisakhi, I am incredibly proud of the Sikh community and its tenets of equality, truth in speech, justice, and compassion in New York''s 13th Congressional District and NYC. Wishing all of our Sikh American neighbours, friends, families, and colleagues a joyous Vaisakhi," he said. Pennsylvania is home to several vibrant Sikh communities, said Senator Pat Toomey. "To all that are celebrating, I wish you a joyous Vaisakhi," he said. "I hope all of our Sikh American friends in Michigan had a happy Vaisakhi today," Senator Gary Peters said. "On this historically significant day for Sikhs, I''m wishing our Sikh American friends a happy Vaisakhi!" tweeted Senator Thom Tillis. "On this historically significant day for Sikhs, I''m wishing our Sikh American friends in Wisconsin, across the nation and around the world a happy Vaisakhi!" said Senator Tammy Baldwin. Sikhs have been an integral part of the nation''s fabric for over 125 years, Congressman Rob Woodwall. "Today, we join our Sikh American neighbors in celebrating #Vaisakhi, one of the most historically significant days for Sikhs all over the world!" he said. "Wishing our Sikh American neighbors, classmates & colleagues a happy Vaisakhi!" Congressman Jason Crow tweeted. For generations, the Sikh community in Nevada and across the county, has made significant contributions to the United States of America, said Senator Cortez Masto. "Wishing our Sikh American neighbors, classmates and colleagues a happy Vaisakhi!" she said. "Wishing the Indiana Sikh Community, a very happy and safe Vaisakhi! I hope you enjoy a wonderful celebration with family and friends," said Congresswoman Susan Brooks. "Wishing the Sikh community in San Diego a happy Vaisakhi and a joyous harvest festival," Congressman Scott Peters.